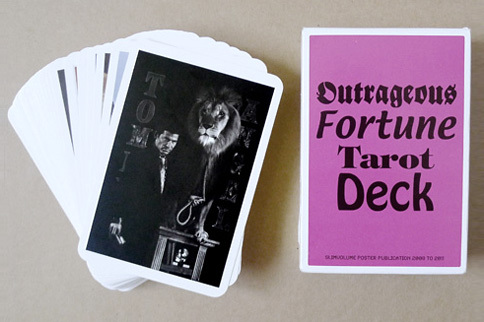 Tommy Angel #11  was made for the exhibition ‘Outrageous Fortune: Artists Remake The Tarot’, a Hayward Touring exhibition, curated by Andrew Hunt, director of Focal Point Gallery. The exhibition showcased contemporary artists’ interpretations of randonmly selected cards from the classic Tarot de Marseille deck. Accompanying the exhibition, a special numbered edition of 1,000 printed decks of cards was produced as part of Andrew Hunt's 'Slimvolume Poster Publications' series, and given away to recipients nominated by the artists. 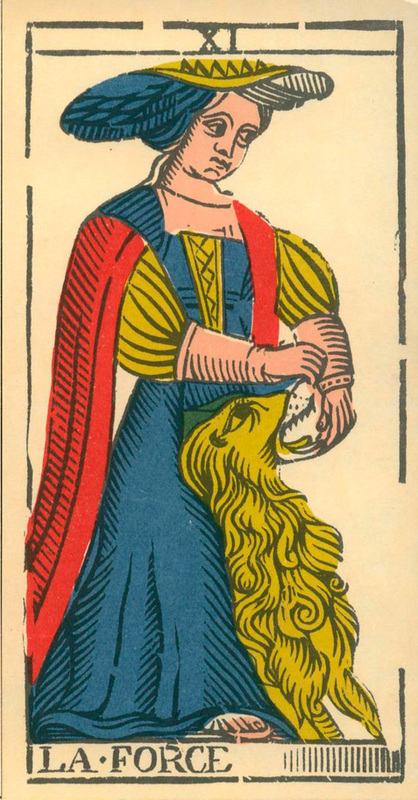 The customary iconography of the tarot card known as ‘Strength’ - a serene robed woman cleaving open the jaws of a lion – may derive from a synthesis of visual conventions that includes the classical representation of strength as a Virtue [a female figure dressed in armour standing beside a broken stone column], and depictions of Hercules and Samson overwhelming the formidable lions of their respective classical and biblical narratives. 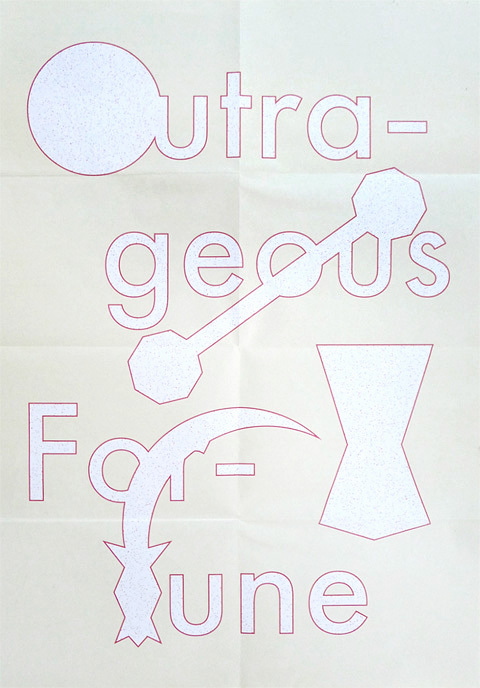 In cartomantic terms, the positive aspect of Strength [also referred to as ‘Fortitude’, ‘La Forza’, or ‘La Force’] has come to denote courage, prevailing intelligence, self-mastery, and moral fortitude, whilst its reversed position signifies tyranny, impulsive reactions, reckless stupidity, and a strong and dangerous enemy. 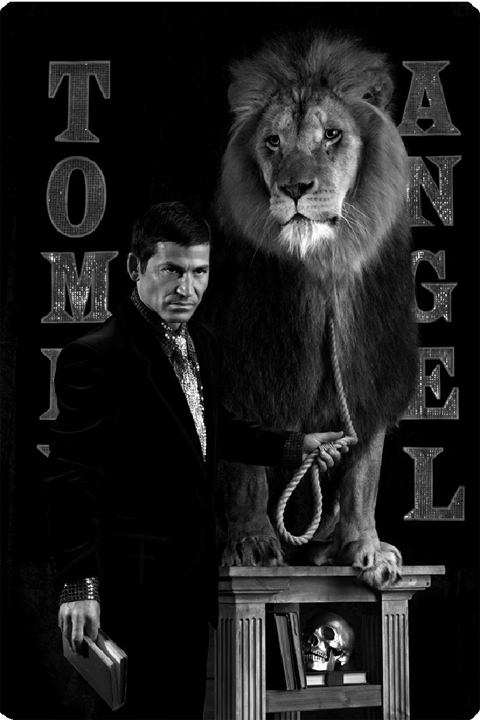 Tommy Angel #11  evokes Strength in the form of the fictitious magician ‘Tommy Angel’, the sleek pulpiteer of Jonathan Allen's ongoing photographic series of the same name. In Tommy Angel #11, nature’s subjugation at the hands of a narcissistic evangelist-conjuror manifests a glitzy portent of male power gone awry. The presence of a skull and dusty volumes points to the related iconography of Saint Jerome, a figure rarely depicted in Western art without his leonine companion, yet in contrast to Jerome’s hermitic disposition, Tommy Angel stands poised to perform upon whatever stage will bear his ideological and proselytizing crusade.